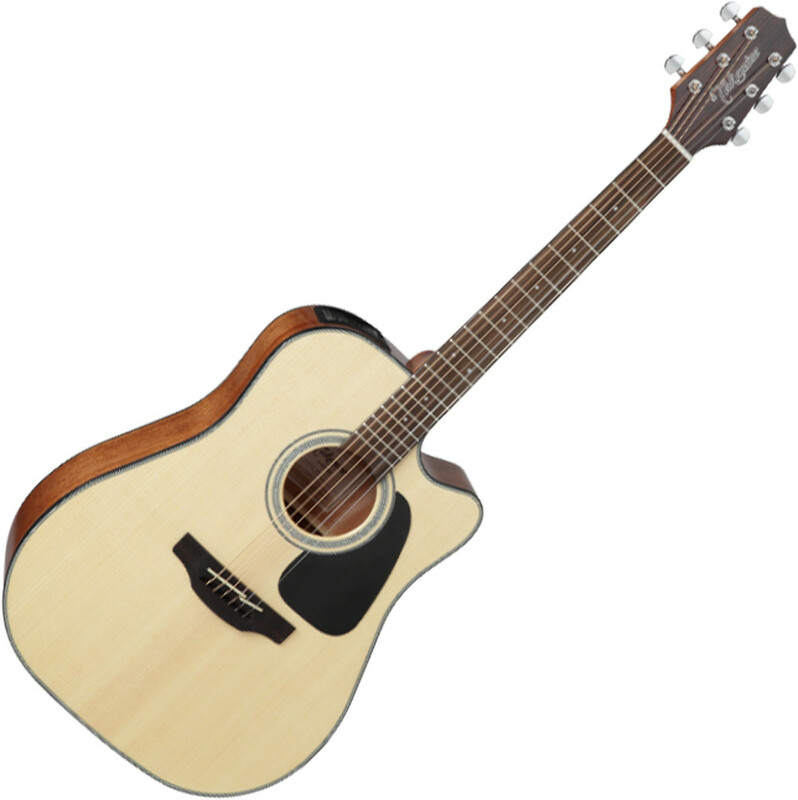 The GD30CE is a stage-worthy acoustic/electric dreadnought guitar that features solid-top construction, a soft Venetian-style cutaway and a superior-sounding Takamine electronics system.Ready for any performance situation, the GD30CE features a solid spruce top and mahogany back and sides that produce a rich, resonant sound. The slim mahogany neck and 12-radius rosewood fingerboard provide great feel and playability, while the onboard Takamine TP-4TD preamp system gives you a built-in tuner with three-band EQ and gain controls for excellent amplified performance and versatility.Other great features include a pin-less rosewood bridge, synthetic bone nut and split bridge saddle, rosewood headcap, pearloid rosette and dot inlays, chrome die-cast tuners and a beautiful gloss finish. Unique to Gator is a through-bolted system that attaches the exterior plastic to the interior foam, making this case much more rugged than other manufacturers plastic cases. The interior is designed to keep your instrument safe with EPS foam creating support for the neck and a thick plush interior that delicately protects the instrument. These cases also have an interior pocket and triple plated chrome locking latches. Universally designed and now manufactured for almost every style, these cases are sure to be a perfect fit for your cherished instrument. The GD30CE is a stage-worthy acoustic/electric dreadnought guitar that features solid-top construction, a soft Venetian-style cutaway and a superior-sounding Takamine electronics system. Ready for any performance situation, the GD30CE features a solid spruce top and mahogany back and sides that produce a rich, resonant sound. 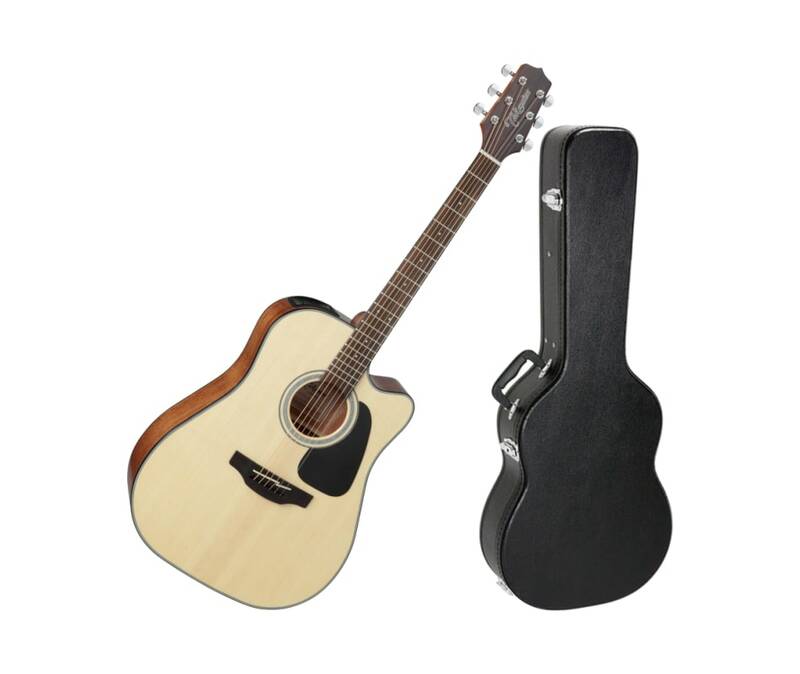 The slim mahogany neck and 12"-radius rosewood fingerboard provide great feel and playability, while the onboard Takamine TP-4TD preamp system gives you a built-in tuner with three-band EQ and gain controls for excellent amplified performance and versatility.